When renovating or designing your dream property, it may be easy to overlook safety features such as egress windows. “Egress” is just a fancy word for exit and, in this case, it refers to the windows necessary for safe evacuation during an emergency. 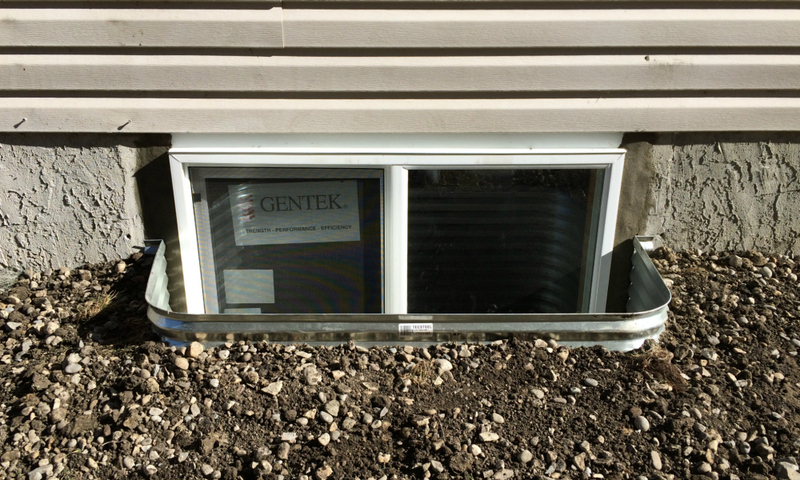 Most commonly required in basements or partially underground spaces, failing to install egress windows is a quick way to fail an inspection. Read on for Marcotte Glass’ crash course on the specifics of egress windows. What are the requirements for an egress window in Alberta? #1: No dimension can be less than 380 mm or 15” for an unobstructed opening for the openable portion of the window. #2: The minimum area of the unobstructed opening should be no less than 0.35 m2 or 3.8 sq ft.
#3: Whenever a window goes below grade, a well should be dug around the opening of the window, leaving ample room for exit during an emergency. The protrusion (or pitch) of the window well should be no less than 760 mm, or 30”. With their budget friendly price, low maintenance design and easy-to-operate functionality, horizontal slider-style egress windows are a popular choice for basement bedroom windows. But if a slider isn’t right for you, don’t worry – there are a variety of alternate window styles that can be used to comply with egress requirements. The dimensions listed above are only a guideline and may vary depending on the regulations in your area. Always refer to official legislation when measuring and installing the required safety measures for basement windows. If you need any assistance ensuring your space meets safety regulations, contact or visit the experts at Marcotte Glass today!